Owner surrendered siblings! solomon and kayce get adopted BUT left eddie behind! These three are super adorable but they are pretty overwhelmed and confused after their family just dropped them off. They need help now, they are very sweet dogs that have lost everything and are most likely going to lose each other too now... Please SHARE, a FOSTER or Adopter would save them. Thanks! #A5129830 My name is SOLOMON and I'm an approximately 2 year old male Poodle Toy. I am already neutered. I have been at the Carson Animal Care Center since 11/13. I will be available on 11/13. You can visit me at my temporary home at C228. #A5129828 My name is KAYCE and I'm an approximately 5 year old female Poodle Toy. I am already spayed. I have been at the Carson Animal Care Center since 11/13. I will be available on 11/13. You can visit me at my temporary home at C228. #A5129824 My name is EDDIE and I'm an approximately 8 year old male Poodle Toy. I am already neutered. I have been at the Carson Animal Care Center since 11/13. I will be available on 11/13. You can visit me at my temporary home at C228. INTERESTED IN FOSTERING? If you are in LA, OC, San Bernadino, or Riverside County and would like to apply to foster a Carson dog, please visit www.carsonfosters.com to complete a foster application. It would save their life! 🆘🆘UPDATE🆘 According to the call center someone came and adopted SOLOMON and KAYCE but left EDDIE behind! Please SHARE!! 0 Response to "Owner surrendered siblings! 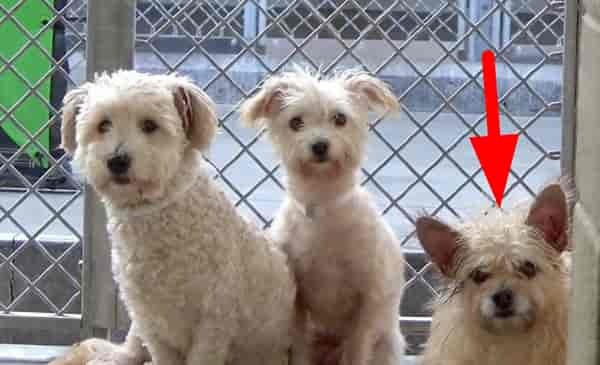 solomon and kayce get adopted BUT left eddie behind!"